Pride is one of the world’s greatest celebrations of diversity, one that we’re excited to support every year. For 2015, we’re doing something a little different: we’ve created an online parade, #AndProud, so that people from around the world can celebrate Pride together. 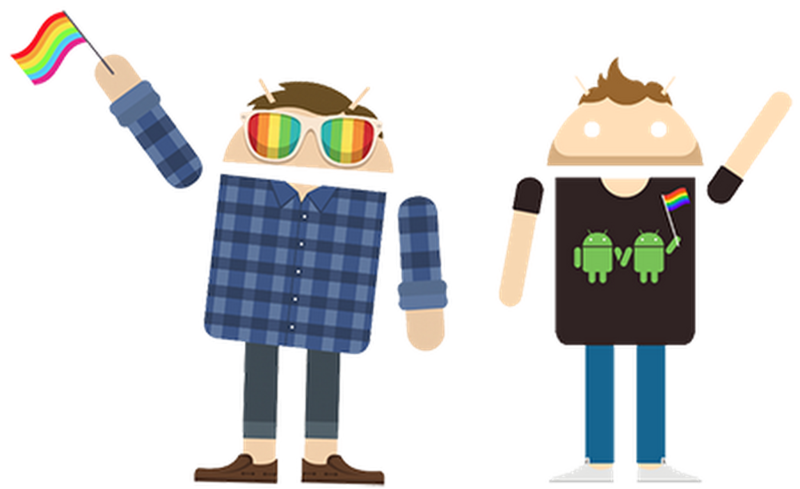 To join the global parade, visit Androidify, where you can create your own Android character with a fun new Pride wardrobe. During the weekend of June 27-28 your character will party side-by-side with others from around the world in the online parade. But the celebration doesn’t end there. While the virtual parade happens online, thousands of Googlers will hit the streets of San Francisco, London and New York to show their support in those citywide Pride festivals. 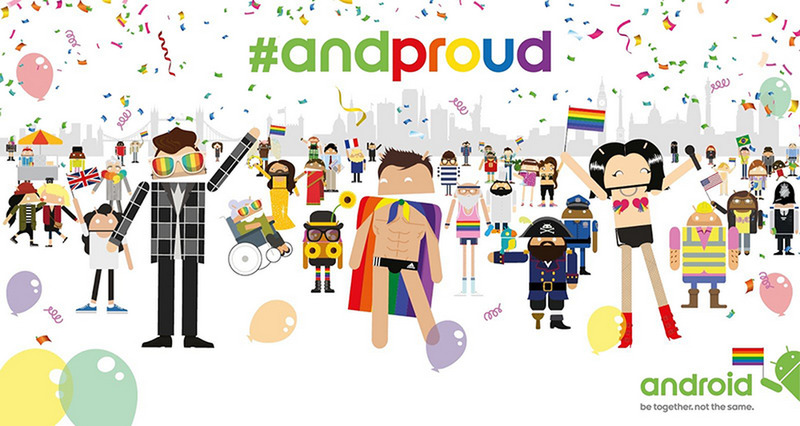 Some of the best #AndProud characters will appear on big screens as part of Google’s pride floats in all three cities. In addition to #AndProud and our floats in SF, London and NYC, we’re celebrating Pride in our offices around the world, and in all sorts of ways across our products. 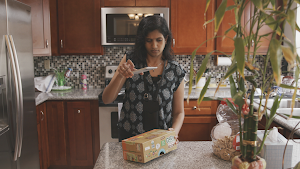 We’re excited to be able to extend the celebration and give people around the world a new way to share their Pride.